Read more about Check Action in the documentation. Aggregated Action is a descendant of SingleChoiceAction that serves as a dynamic container for other Actions. Developers can customize it in Application Model, grouping different Actions in a hierarchical structure as shown in the figure below. Read more about Aggregated Action in the documentation. 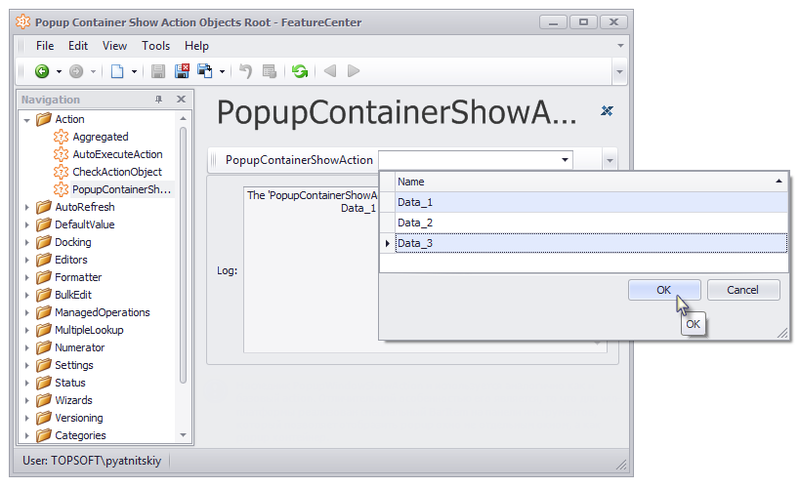 Popup Container Show Action is a descendant of DevExpress XAF PopupWindowShowAction. 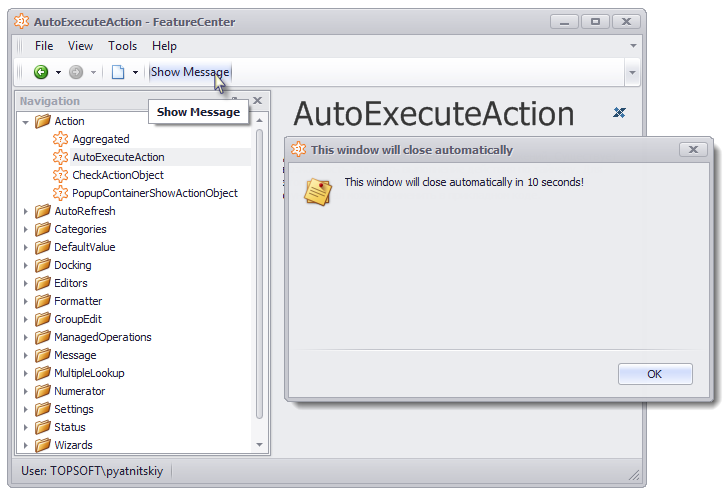 This Action is used when the user needs to input several parameters in a popup dialog before the Action execution, dialog displayed as a popup-container. To see an example of use, refer to Extra Filters. Read more about Popup Container Show Action in the documentation. WizardAction is a descendant of Popup Window Show Action and is used to implement Wizards.The action allows creating a number of sequential steps for editing object's parameters. In addition to this, WizardAction allows passing some steps according to the specific conditions. Dock Panels significantly improve the user interface of applications developed with DevExpress XAF. Dock Panels provide a user with more data on the current object via additional accompanying Views. Users can hide the Views they don’t need or, conversely, show other available Views. Dock Panels are used in the Categories implementation. Read more about Dock Panels in the documentation. ARMs mechanism works on Win, Web, and MVC. Read more about Alternative Navigation Items in the documentation. You can find the complete list of Xafari extra property editors in the documentation. 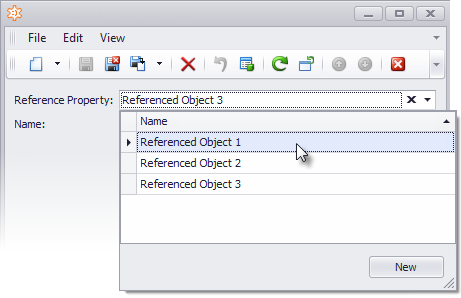 Read more about Tabbed Detail Property Editor in the documentation. 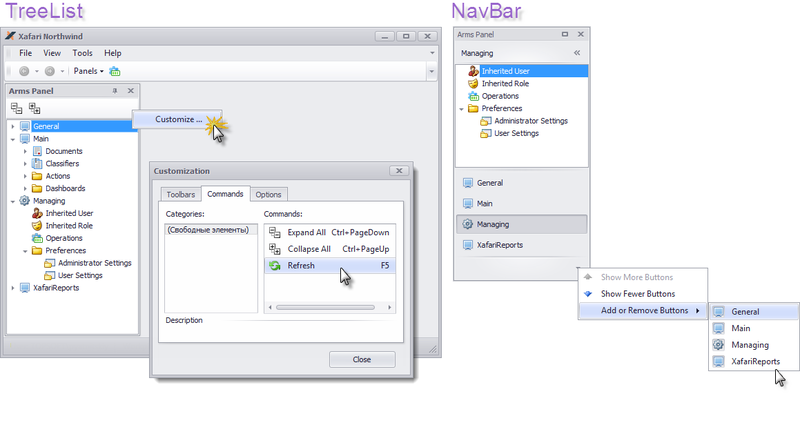 Enum Property Editor displays Enum property with FlagsAttribute. It supports 3 views (Standard, Checked Combo Box, Checked List Box) and allows displaying enumeration in multiple columns. Enum Property Editor is implemented for Win, Web, and MVC. Read more about Enum Property Editor in the documentation. provides options to extend its basic functionality by adding the required functions, constants and parameters to the code. 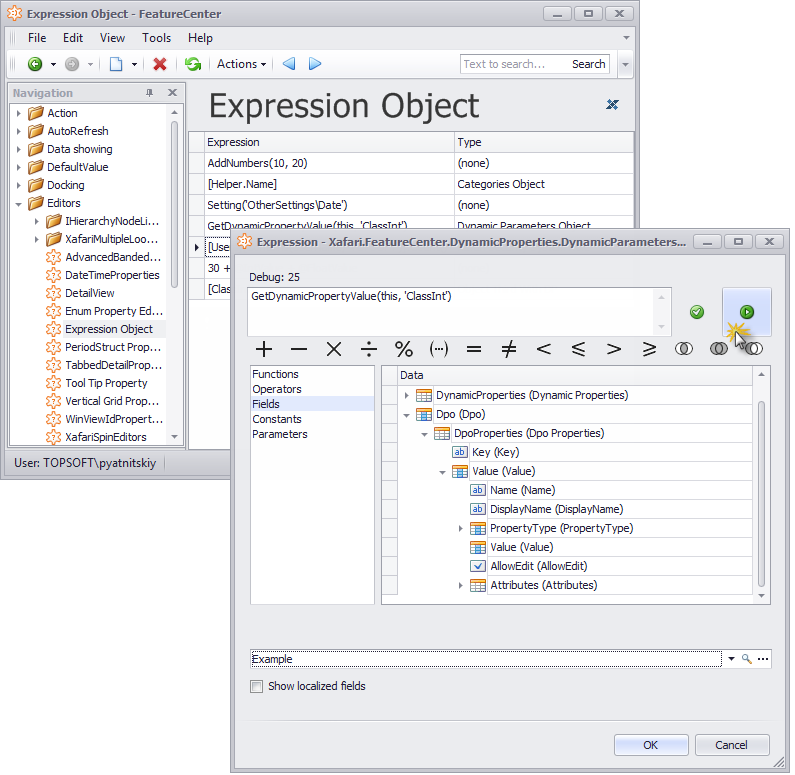 Read more about Expression Property Editor in the documentation. Folder Browser Property Editor displays string properties that contain folder paths. To select folders, it uses FolderBrowserDialog control. Folder Browser Property Editor is implemented for Win platform. Hyper Link Property Editor displays string properties that contain hyperlinks in URL format. 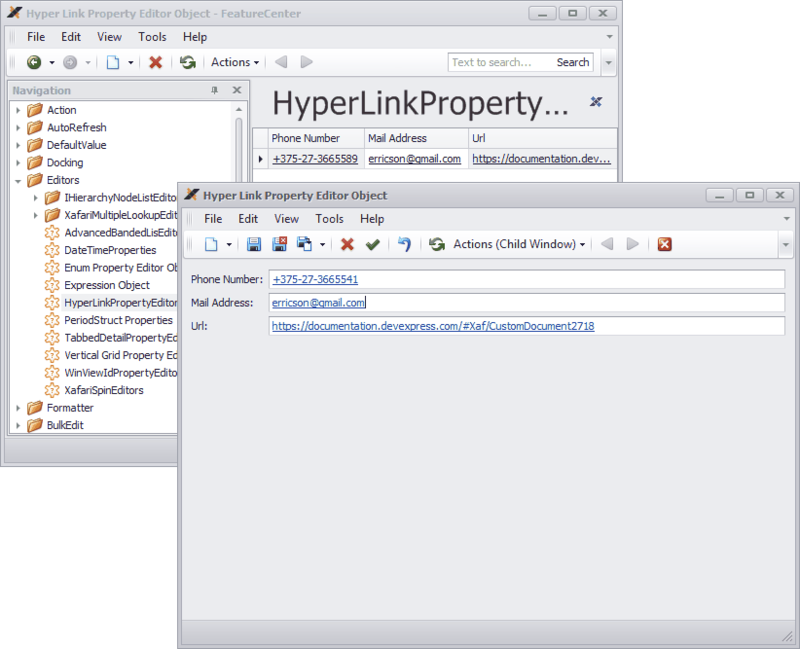 Hyper Link Property Editor is implemented for Win, Web, and MVC. Label Property Editor displays String type properties as static text using LabelControl. The users cannot edit the property value. Label Property Editor is implemented for Win platform. This special Xafari property editor is used to implement Multiple Selection. Type Image Property Editor is derived from standard Type Property Editor. In addition, it displays the icon for the type defined in the Application Model. Type Image Property Editor is implemented for Win platform. Read more about the editor in the documentation. Vertical Grid Property Editor displays object properties in tabular form using VGridControl. The properties are shown as a list, so adding or deleting them occurs naturally without disrupting the overall form design. 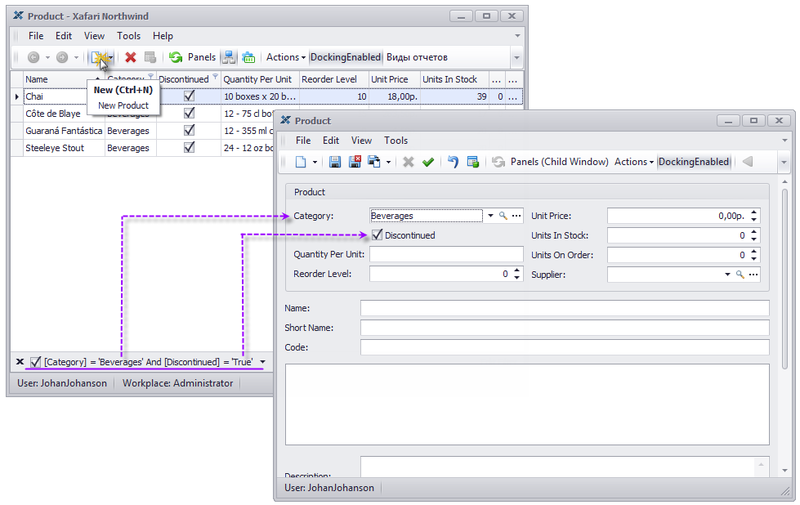 Therefore, Vertical Grid Property Editor is used in Dynamic Properties, Bulk Edit, and Application Settings. 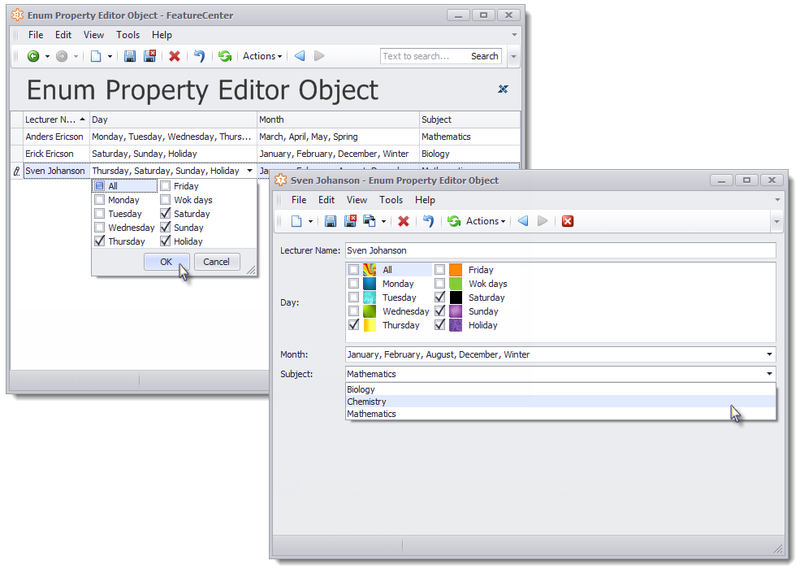 Vertical Grid Property Editor can be customized in the Application Model. The Editor is available for Win, Web, and MVC. Read more about Vertical Grid Property Editor in the documentation. 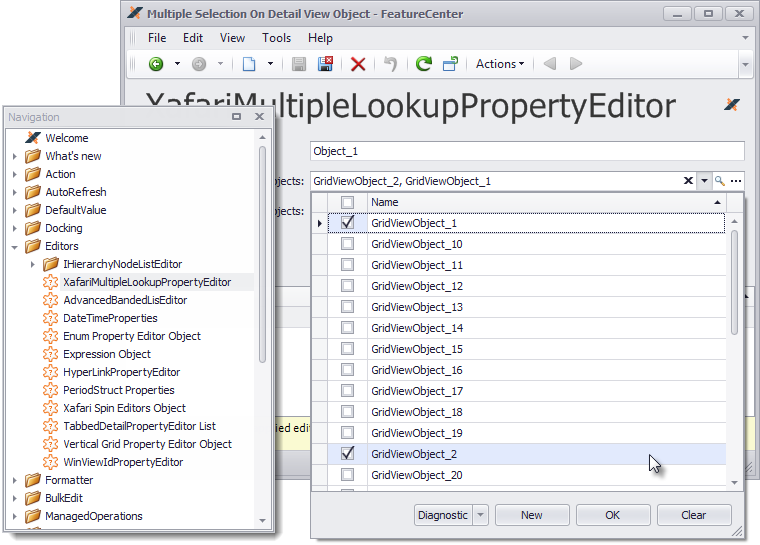 View Id Property Editor displays string type properties containing View ID from Application Model. User can select required View, View types (ListView, DetailView, DashboardView) and View captions in the dropdown list. View Id Property Editor is available for Win, Web, and MVC. 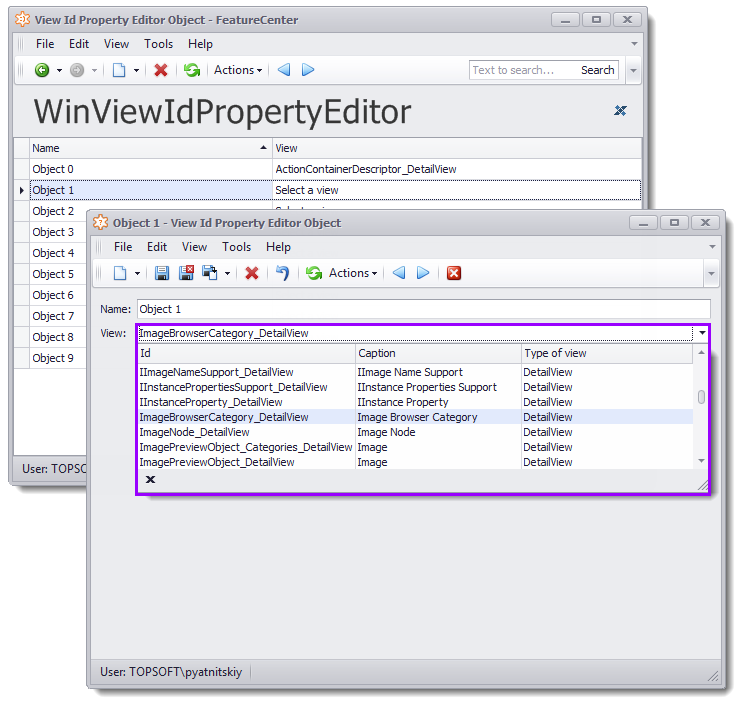 Read more about View Id Property Editor in the documentation. The Editor allows displaying and editing GeoPoint type properties. Latitude and Longitude define the position of the object on the map in the XAF application, Name and Description properties are shown as a snippet. Read more about Google Maps Property Editor in the documentation. Group Property Editor allows dividing Detail View on groups of properties and edit them separately. When one property group is being edited, the other groups are displayed in the View mode. This approach helps to accelerate the application. Group Property Editor is available for Web. 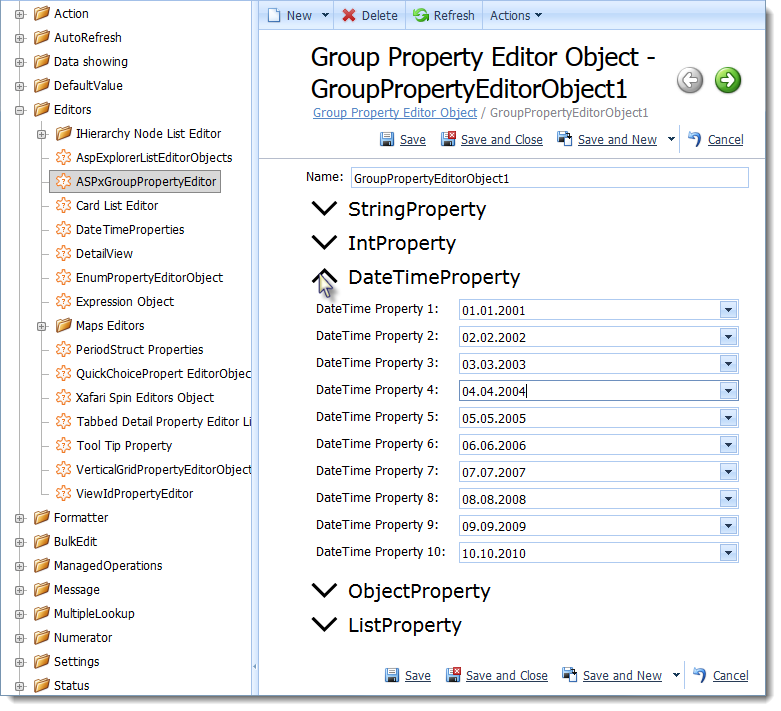 Read more about Group Property Editor in the documentation. The editor displays the progress of the process execution showing the current value as a percentage. 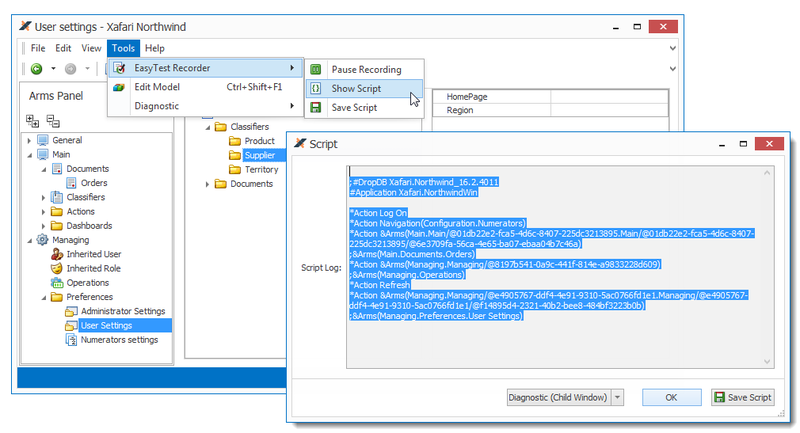 Quick Choice Property Editor is an alternative to the standard Lookup Property Editor and is used for searching a specific value in a list of fields without displaying additional popup windows. The standard ASPxComboBox control was used to implement the editor. Read more about Quick Choice Property Editor in the documentation. The editor is used to edit the IEnumerable properties and is an alternative to the standard ListPropertyEditor in cases where the list stores multiple selected objects. 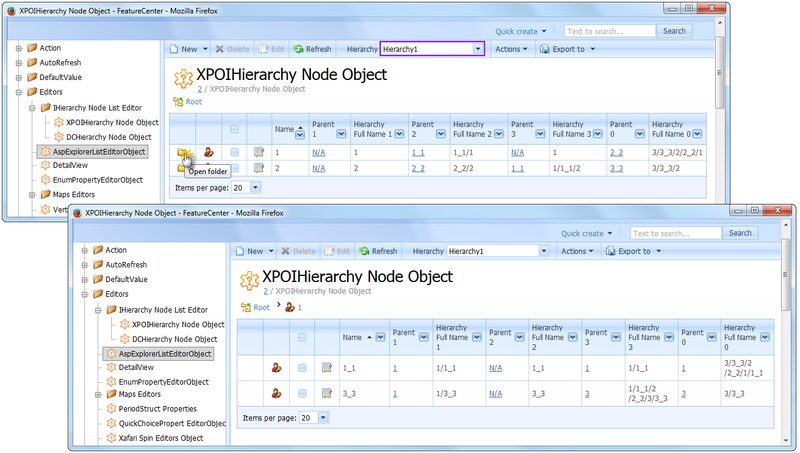 Read more about Xafari Multiple Lookup Editor in the documentation. 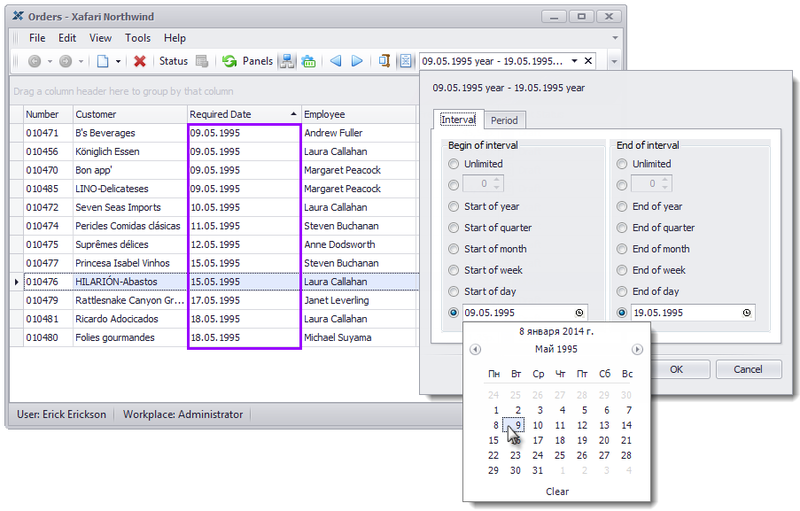 The editor is used for customizing a date filter when working with lists. 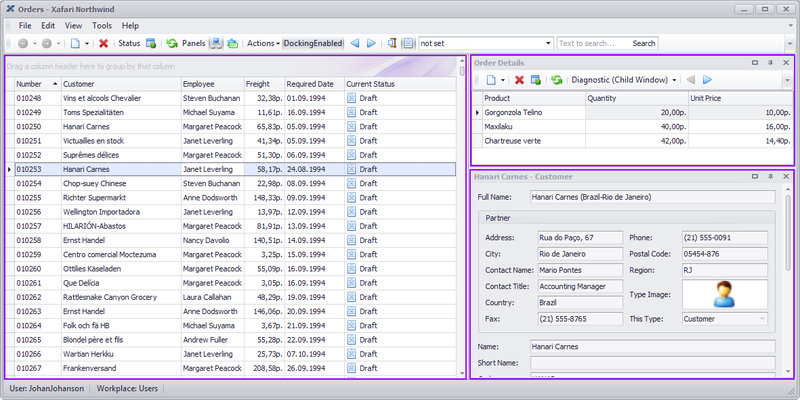 Users can specify any range of dates for filtering data in the List View in a XAF application. 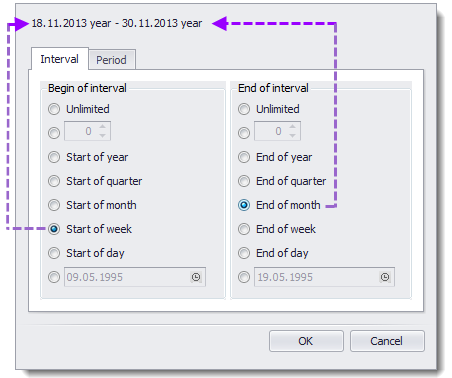 Xafari Date Property Editor allows editing and and displaying DateTime type properties in the Win and Web DevExpress XAF applications without the use of the popup calendar. 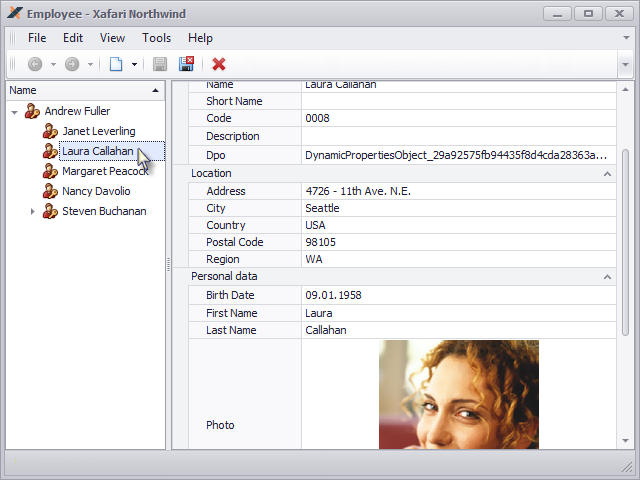 Xafari Lookup Editor displays reference properties in Windows forms applications. It allows users to quickly navigate to the Detail View of the referenced object and open the lookup list in a separate View. For the complete list of Xafari Extra List Editors, please refer to the documentation. 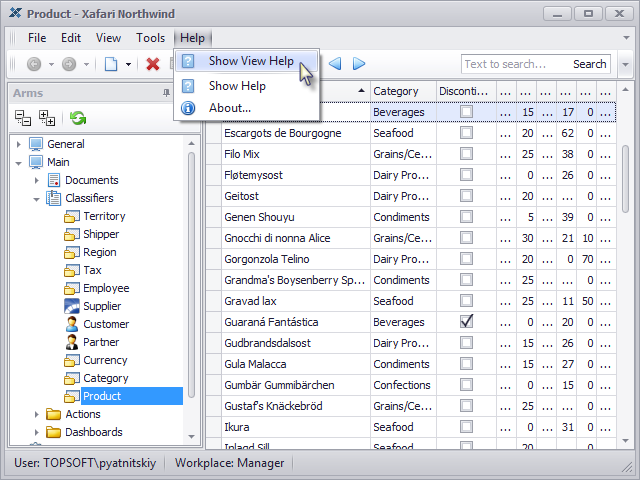 Explorer List Editor displays hierarchical data that implements ITreeNode or IHierarchyNode interfaces. Default List Editor for this data in DevExpress XAF is Tree List Editor. Unlike standard Tree List Editor, Explorer List Editor is inherited from the Grid List Editor. Explorer List Editor is visually similar to Windows Explorer (the name comes from here). 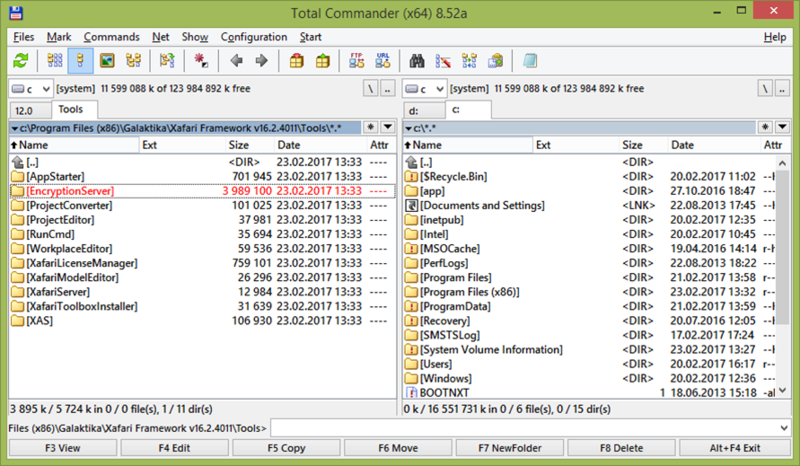 Explorer List Editor displays the data hierarchy in nested folders structure. This approach allows efficient queries to retrieve the required data and not load all objects (unlike Tree List Editor). The information about the hierarchy dynamically displays in the optional navigation bar above the list. An additional column is used to identify if there are any child nodes. Read more about Explorer List Editor in the documentation. This editor complements standard Grid List Editor. Win version supports Multiple Selection by Check Boxes. Web version supports Templated Web Editors. Read about Grid List Editor in the documentation. This editor complements standard TreeListEditor. Win version supports Multiple Selection by Check Boxes. Web version supports Templated Web Editors. Read more about Xafari Tree List Editor in the documentation. This special List Editor displays a list of the data as a matrix. Special additional Detail View defines the layout of the properties in the cells of the matrix. The developer can customize Card List Editor in the Application Model. 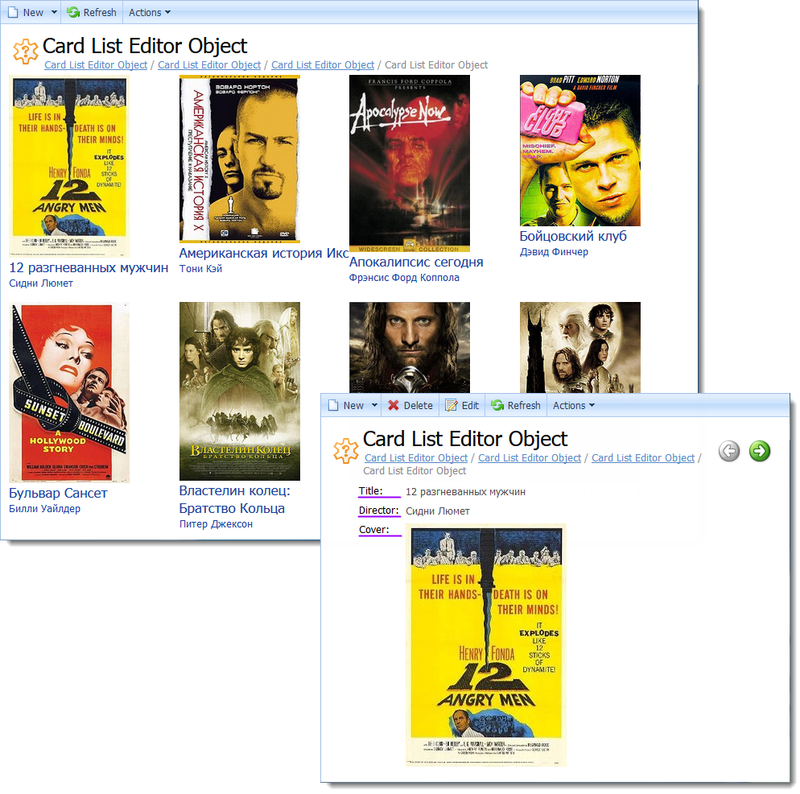 Read more about Card List Editor in the documentation. 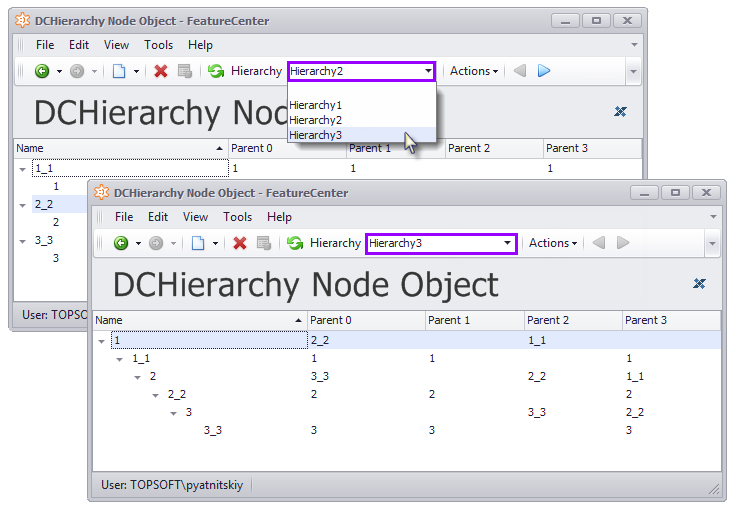 Hierarchy Node List Editor displays hierarchical data that implements ITreeNode or IHierarchyNode interfaces. Default List Editor for such data in DevExpress XAF is Tree List Editor. Hierarchy Node List Editor is visually similar to Tree List Editor. The component allows displaying the hierarchical structure in a List View using special editors and supports multiple hierarchies (users can change a current hierarchy in the runtime). 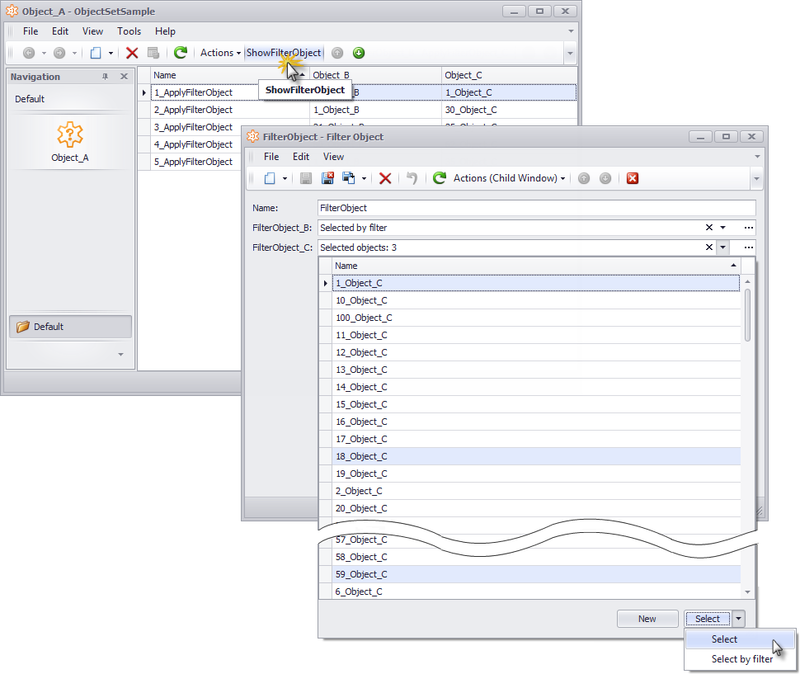 In addition to standard features, the editor can change the structure of hierarchical data using drag'n'drop. Read more about Hierarchy Node List Editor in the documentation. 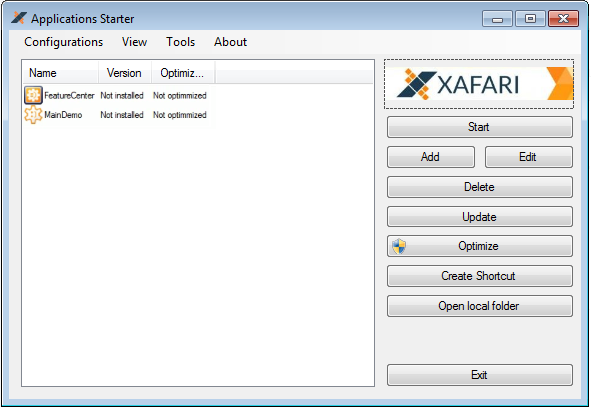 Xafari adds new features to all standard XAF Web editors. This feature allows changing the design quickly and easily. By default, the editor looks like the standard one. To change the design of the editor, the developer needs to create a Template (ASPх User Control) and to refer to it in the Application Model. Read more about Web Editors Templates in the documentation. Wizards allow executing complex operations sequentially (step by step). Wizard is an analog of the PopupWindowShowAction. This type of Action is useful when you want the user to input several parameters in a popup dialog before an Action is executed. The difference between them is that the Wizard allows making a number of sequential steps for editing object's parameters. In addition to this, Wizard allows passing some steps according to the specific conditions. Wizards work in pop-up windows. Wizard steps are shown as the Detail View for an object type. At the end of the Wizard steps, there are two options: to execute Action or to cancel the execution. Support of both Win and Web platforms. Using WizardAction, which is a PopupWindowShowAction. 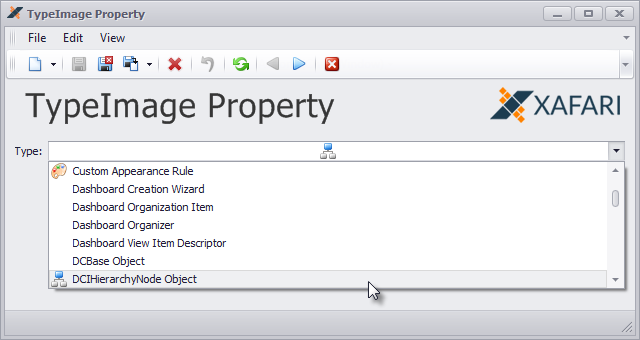 You can customize Wizard properties in the VS designer or in the Application Model. 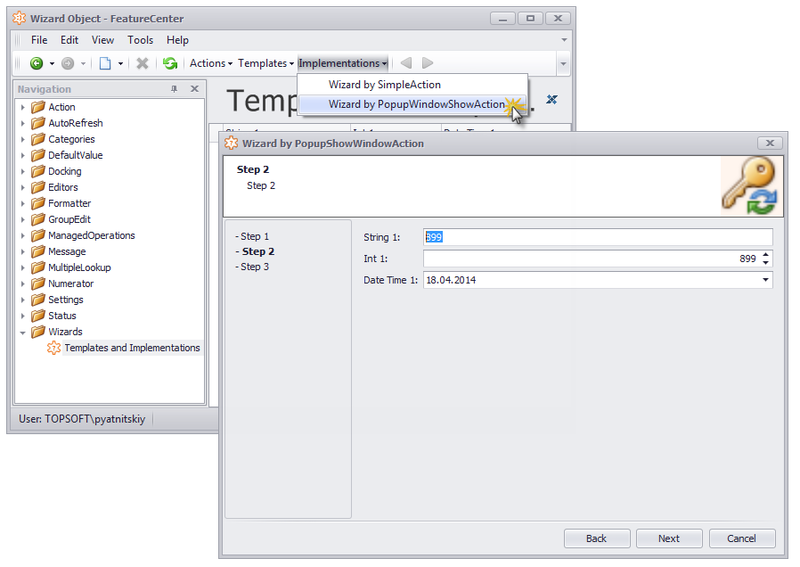 The View for each step of the Wizard is generated automatically in the Application Model. Conditional jumps between the Wizard steps are implemented. Access to and control of Wizard steps in the code. Read more about Xafari Wizards in the documentation. Extra Filters is a general solution to filter data by period. It includes a convenient control to quickly create different periods: by month, quarter, year, and any other period. Naturally, after the period is specified, the data is filtered automatically. For more information about the Extra Filters, please refer to the documentation. Read more about Smart Design Technology in the documentation. 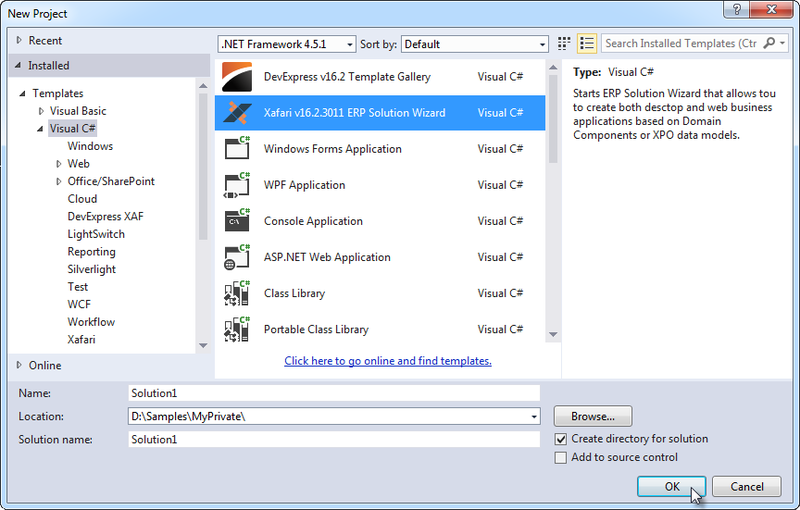 Xafari Solution Wizard and Template Gallery provide opportunities for quick creation of new Xafari Applications. Read more about Context Help in the documentation. AutoRefresh updates the displayed data automatically at a determined time interval. The developer can activate this feature for any View in the XAF application. In some applications, the business logic may require the Action to be executed automatically by timer. Action by Timer component implements this function in Xafari Framework. The controller allows configuring the timer, setting the countdown time, specifying the Action to run, etc. Read more about Action by timer in the documentation. Criteria Object Creation is a Xafari component that is intended to optimize the creation of a new object in the List View in case filters are applied to the data in the List View. When a new object is created, the existing filter criteria values automatically apply to it. 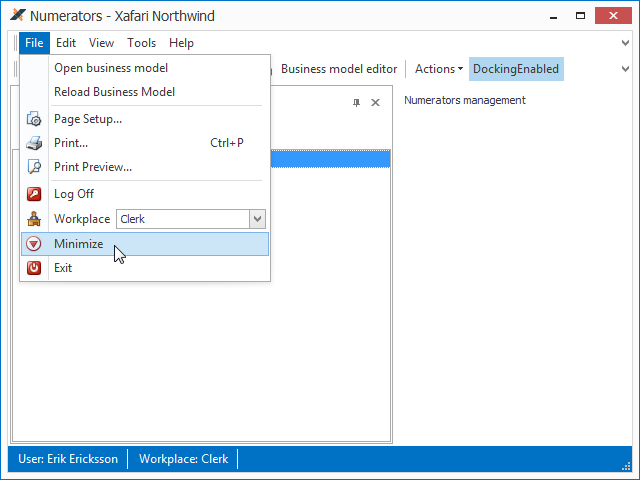 In order to activate the component, the user needs to configure the business object or the corresponding List View in the application model. 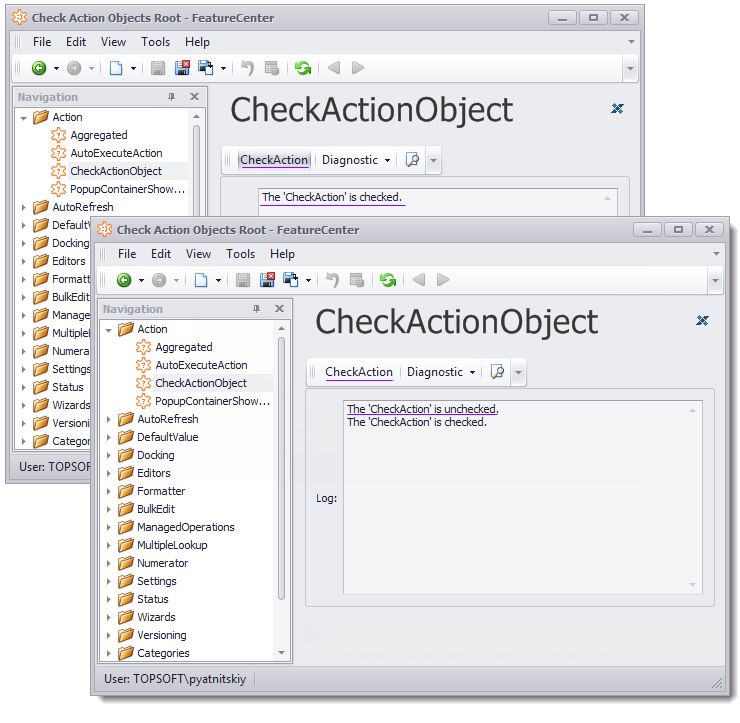 Criteria Object Creation is available for any List View in business applications developed on Xafari Framework. 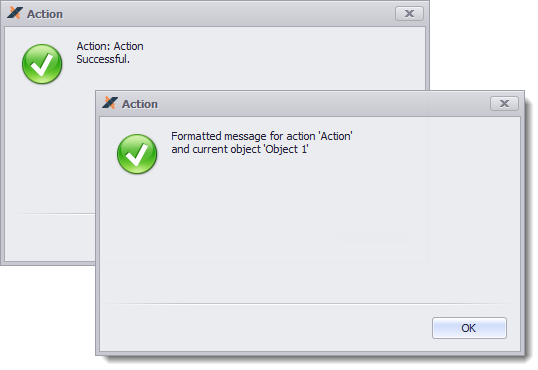 There is an option to show the end user a message saying that an Action was successfully executed. By default, no messages are shown. Xafari extends the functionality of DevExpress XAF IModelAction component in the Application Model with an extra setting that allows displaying both static messages and formatted strings. Users can set up the Success Message property in the appropriate Action node in the Application Model. Model Differences (Application Model Differences, User Model Differences) are customizations of the Application Model. Xafari Framework expands the mechanism provided by DevExpress XAF to store Model Differences, which allows avoiding some of its shortcomings. Xafari Win Module initializes the Model Differences storage management system for Win applications, and the application uses FileUserModelDifferenceStore storage, which stores the User Model Differences for each user and allows adding other layers. Xafari Web Module initializes the Model Differences storage management system for ASP.NET applications, which use SessionUserModelDifferenceStore storage. Developers can use their own types of storage in case they need to. 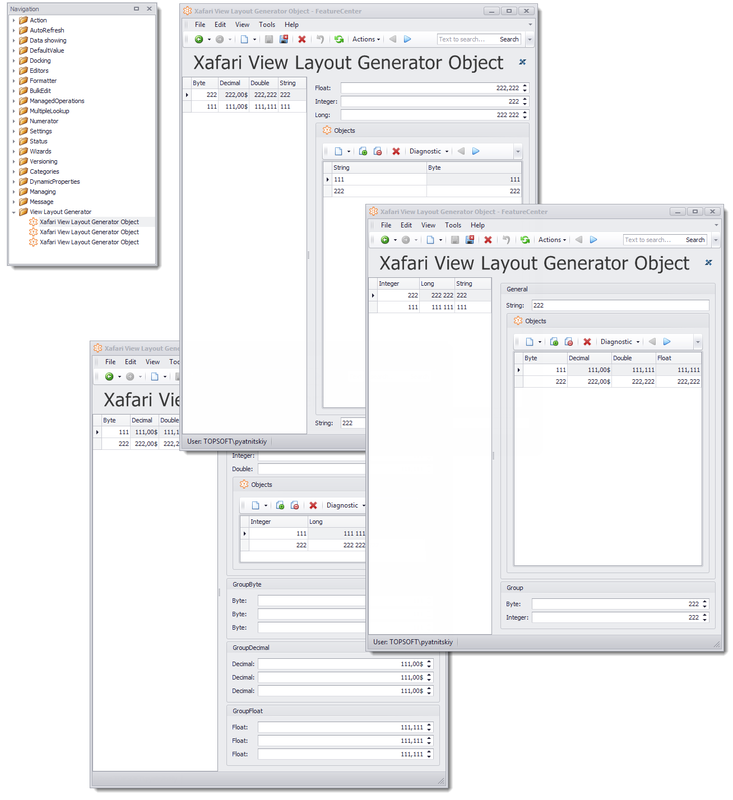 Xafari Differences Store provides an option to store Model Differences in the database. In this case, if Win and Web applications work together with a common database, user settings are also used in conjunction. Read more about Model Differences Store in the documentation. When there is a large number of modules in the application, the Application Model becomes very complicated. Due to the increasing number of layers, the performance of the Application Model is slowed down, which leads to major lags in the application. Xafari Accelerator is a general component of Xafari Framework developed specifically to overcome the issue of DevExpress XAF application slow performance when the Application Model is overcomplicated. According to the tests we ran on demo applications, applications with enabled Xafari Accelerator had in average twice shorter starting time that application without the Accelerator. The core principle of Xafari Accelerator performance is keeping the unchangeable part of the Application Model in a special .xml file and then building the constant part of the Application Model on this file, which significantly speeds up its starting time and, subsequently, the performance of the DevExpress XAF application. Read how to use Xafari Accelerator in the documentation. Xafari Tray Notification component allows interacting with the application through the notification area, or status area. It provides quick access to the application when it is running in the background. The module adds a Xafari application icon to the notification area. 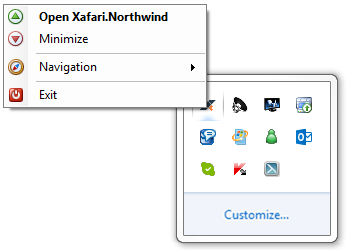 Applications with enabled Tray Notification have a Minimize button in the File context menu. Besides, the module alters the action of the Exit button. It minimizes the window into the notification area, instead of closing it altogether. 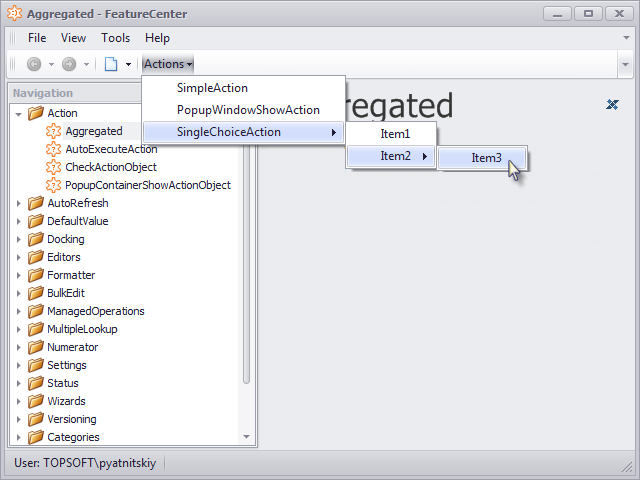 Tray Notification is enabled in the Model Editor where developers can customize the actions in the context menu and the File context menu. Developers can also adjust the behavior of Tray Notification in the source code. Read more about Tray Notification in the documentation. Xafari Encryption Service ensures that end users cannot view the database connection string. 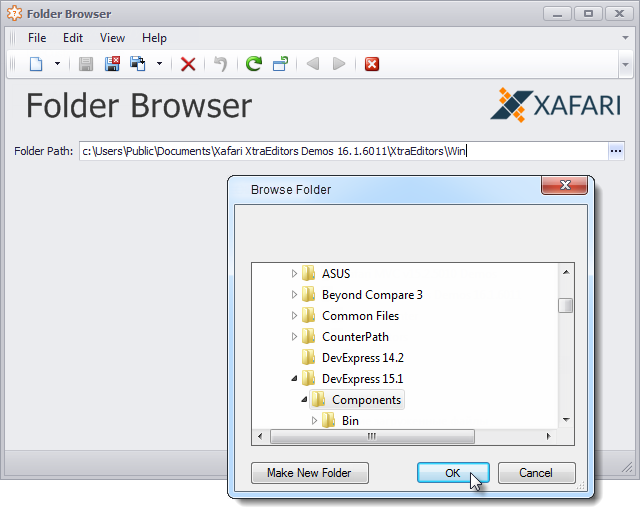 Instead of storing the connection string locally on the user's computer, Xafari has a special web service that provides the connection string only when the application starts, right before initializing the DB connection. Read how to use Xafari Encryption Service in the documentation. See the list of Win components that work with Easy Tests here. tracking updates of the current versions to prevent using outdated assemblies. For more information about AppStarter, refer to the documentation.